A full week getaway can be the most delightful experience. 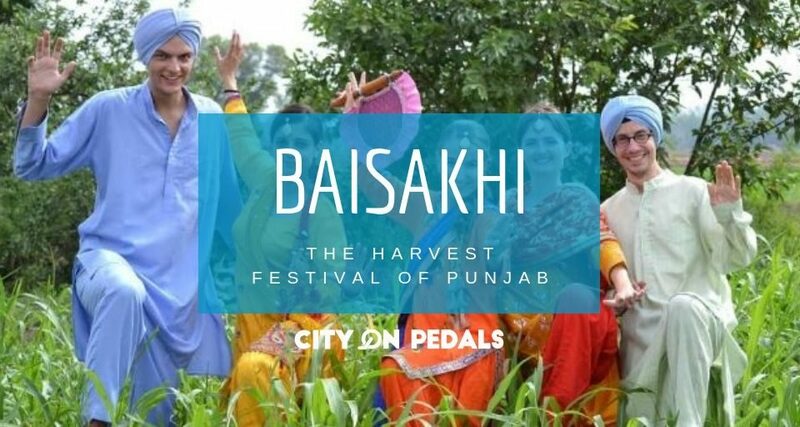 From fun activities to great food of Punjab and perfect picturesque views of the Himalayas give you the best way to escape from your hectic life. 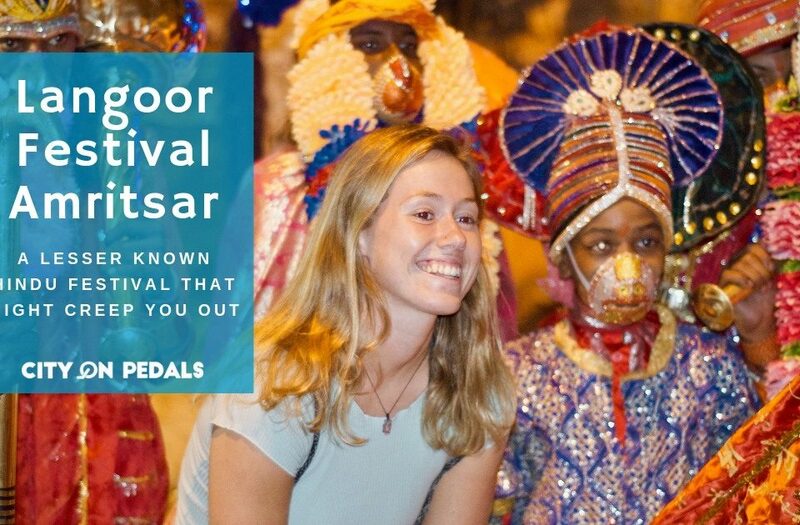 Explore the highlights of North India, including the Himalayan escapades and divine journey of Amritsar. 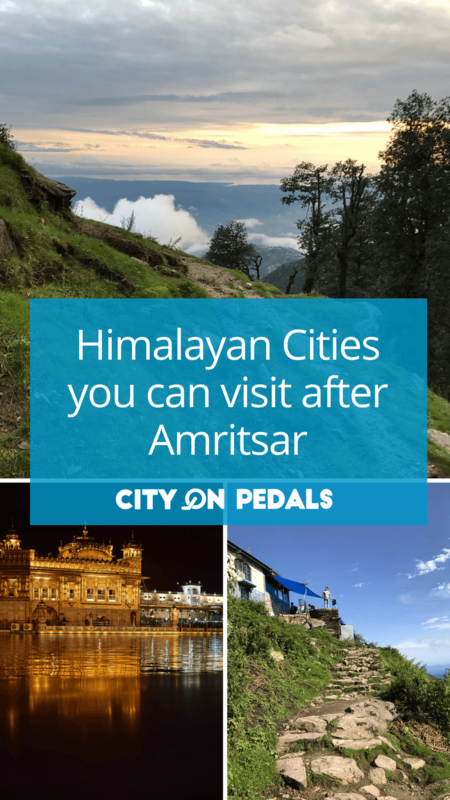 Here is an 8-day itinerary for specially curated for Amritsar, Dalhousie and Mcleodganj which includes the best things to do, places to visit and food to eat of North India. Amritsar is known as the Golden City of north India, located about 50 km from the Pakistan border. The city is frequented by devotees, international tourists from around the world. 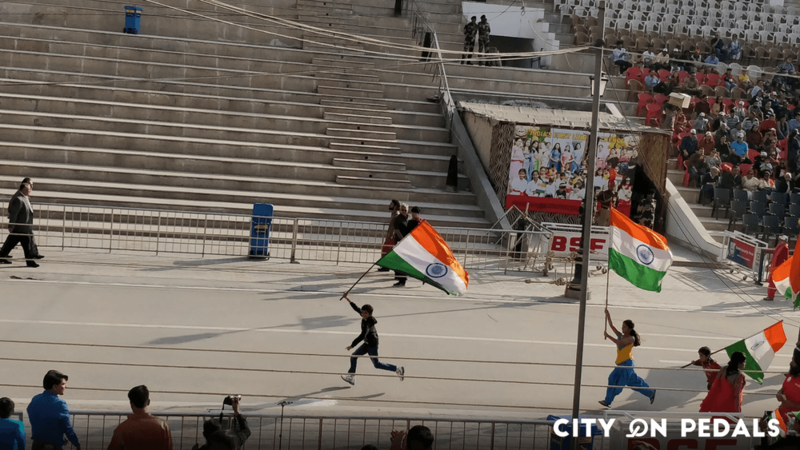 The main highlights of the city are the Golden Temple which is also known as the temple of Amritsar or Shri Harmandir Sahib and famous patriotic beating retreat ceremony at Wagah Border between India and Pakistan. The city offers a variety of mouth-watering dishes for all food lovers. 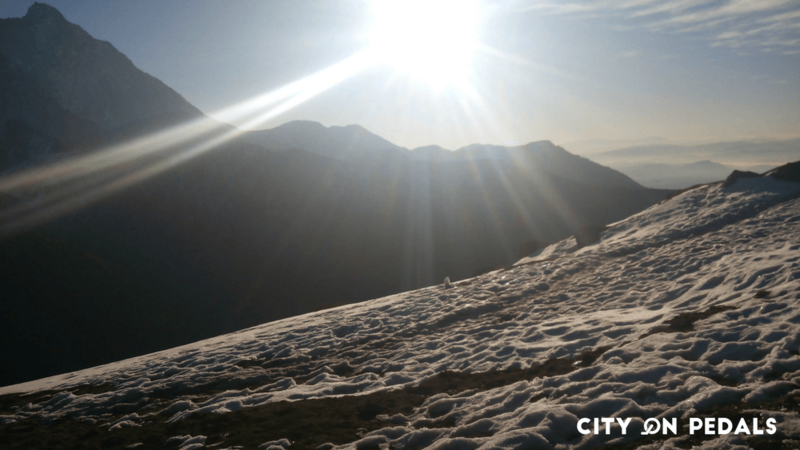 Snow Capped mountains turning a hill station into a fairy tale, Dalhousie is the perfect example of this. This place is the combination of peace, nature, serene environment and breathtaking panoramic views. This majestic hill station is situated between the green valleys of Himachal Pradesh and it has many shopping areas that offer a variety of handicrafts and gift items to take back home as souvenirs. Along with that, this place offers many sight-seeing spots such as Khajjiar, Satdhara Falls, Kalatop wildlife sanctuary and many more. Mcleodganj has emerged as a major Buddhist center as it is home to great monasteries depicting the life of Buddha. 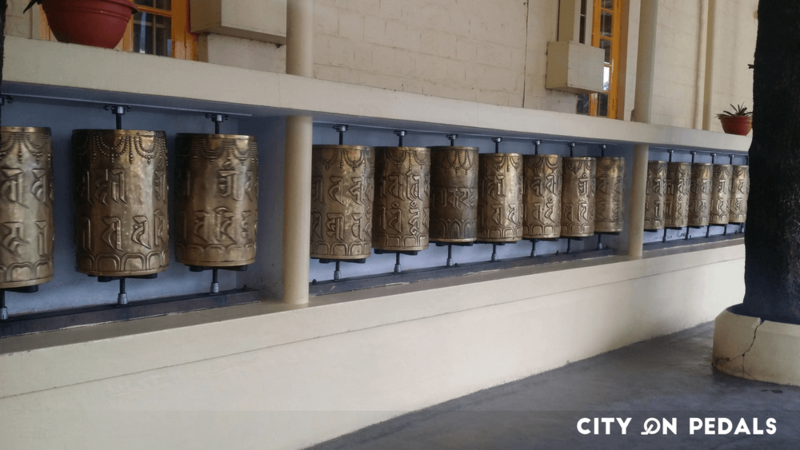 It represents the Tibetan community that makes its presence felt in the city through traditional architectural designs, Tibetan handicrafts, culture, temples, and garments. There are many Tibetan markets, restaurants, and shops in Mcleodganj that serve delicious food, prepared in the rich flavors of Tibet. The great Tibetan leader, the Dalai Lama lived here and thousands of travelers visit this hill station to enjoy its magnificent beauty. 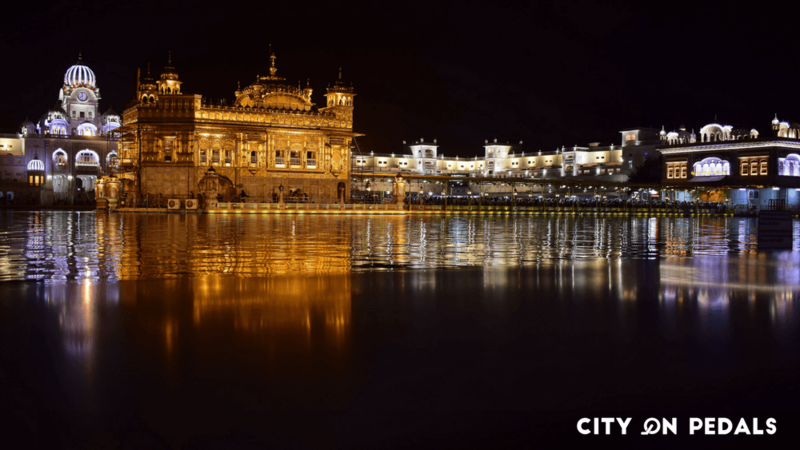 Your first destination of the trip should be Amritsar, where you can witness the beautiful Golden Temple, the historic Jallianwala Bagh, the Wagha Border and many other places to boost up the start of your trip. On reaching your hotel, you can choose to rest or you can visit Golden temple. The temple is open to people of all religions, castes and faiths. The temple gets the ‘Golden’ in its name from the gold-plated dome, which can be seen from a distance as you approach this iconic building. The architecture of the holy place is in such a manner that the main premises are built in the center of Amrit Sarovar which gives a divine look to Golden Temple. You can taste delicious Kadah Prasad and feel the positivity in the environment by sitting beside the Holy Pool of Nectar (Amrit Sarovar). 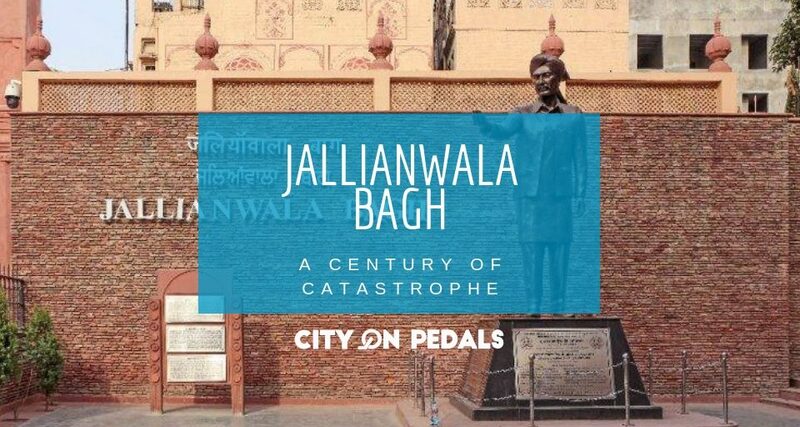 After Golden temple, you can visit Jallianwala Bagh where you can witness the marks of history depicting a bloody day of Indian independence struggle. 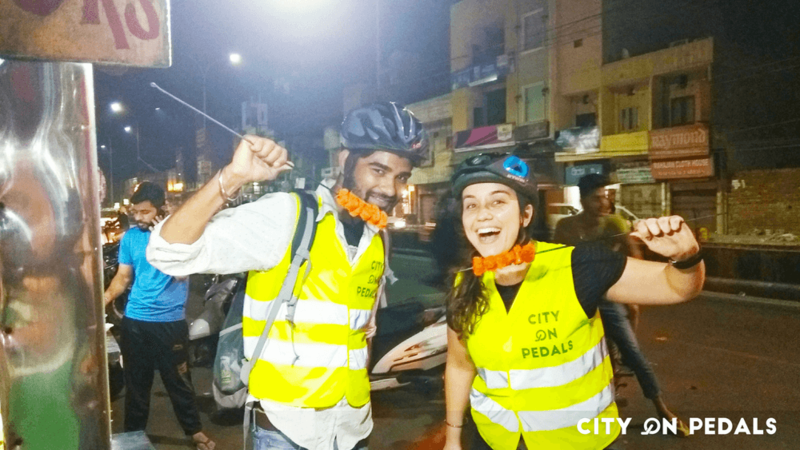 You can also try out our Amritsar Street Food Bicycle Tour, which starts daily at 07:30 pm and ends by 10:30 pm, this includes around 10 types of delicious street food, full of spices, sugar and Ghee. You can taste some of the yummy food items like Soya Champ, Aam-Papad, Gol-Gappe along with Jalebi, Gulabjamun and Faluda Kulfi. 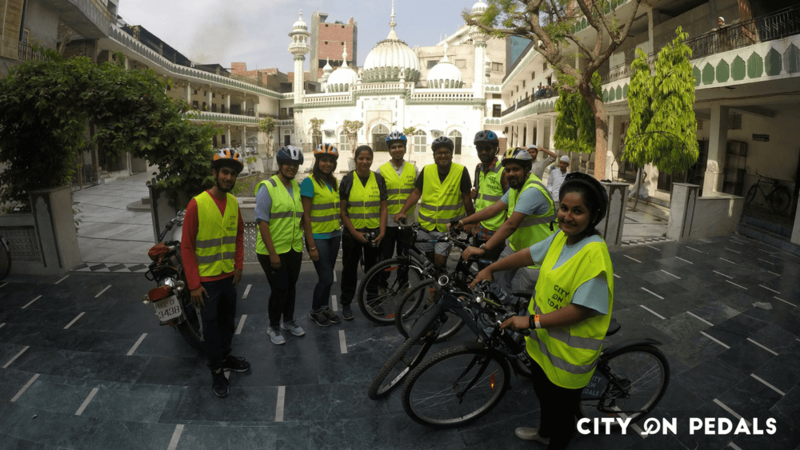 Pro Tip – You should try our Amritsar Heritage Bicycle Tour for exploring the hidden gems of the city that are around 150 years old, situated in the narrow lanes of Amritsar. This can be one of the best things of your trip in Amritsar. In the afternoon, you can choose to visit Wagah Border, it is another important place to visit in Amritsar. The international borderline between India and Pakistan, Wagah has always been in the news headlines of both countries. Situated in between Lahore and Amritsar, evenings are colorful with ‘Beating the Retreat’ ceremony. The most important segment of the ceremonial parade is the bringing down of the respective flags of both countries. Rest of the day is free for personal activities. After the breakfast, you are all set to enter the second checkpoint of your trip. Moving towards Dalhousie (Himachal Pradesh), you will cover the distance of 190 km, through curvy mountain roads giving mesmerizing views of the Himalayas on all four sides. You will feel the change in the weather from moderate to the smooth cold breeze which will make you fall in love with your road trip. Dalhousie`s main bazaar welcomes you with the mountains on the four sides with the markets, Gandhi Chowk, the Tibetian market of Dalhousie offers different types of food and famous handicrafts. You can choose to explore the streets of Dalhousie and enjoy the local food. You can choose to stay the night in Dalhousie. To wake up with the rays of sun scattering through the hills and forests would be mesmerizing. With this view, start your journey towards the “Switzerland of India”, Khajjiar, a huge green grassy landscape with trees on all four sides. 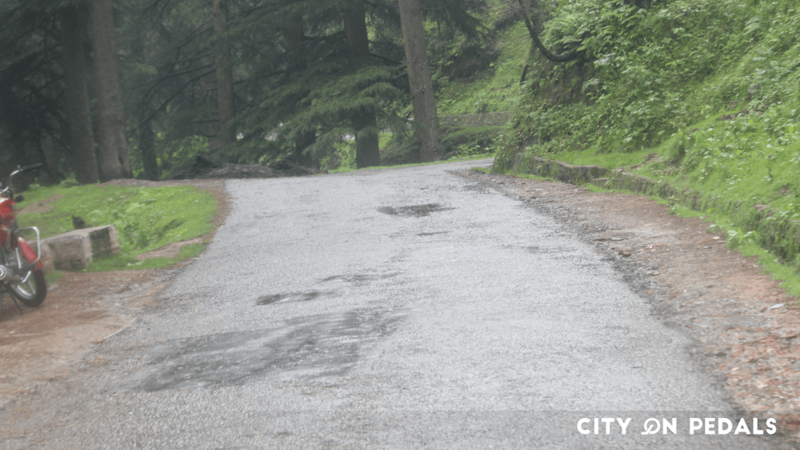 On the way to Khajjiar, you can visit Kalatop wildlife sanctuary which is home to a variety of wildlife species, flora and fauna. 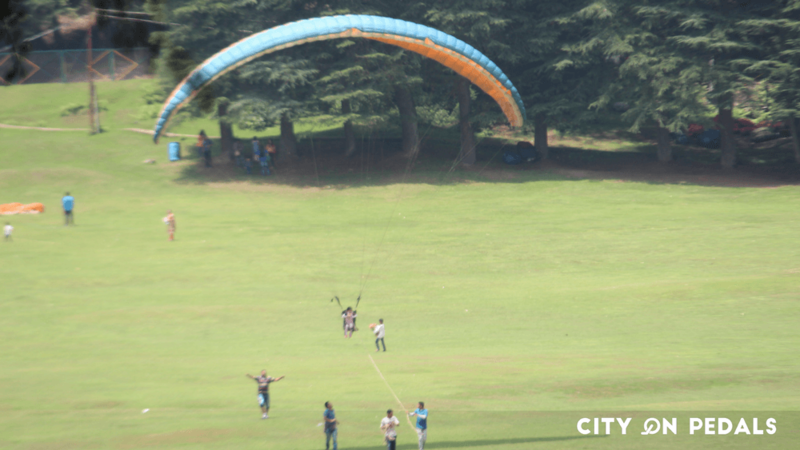 This famous picnic and trekking spot offers adventure activities like paragliding. The next place to explore is the Chamba district situated on the banks of river Ravi, has a precious history, culture and tradition, dance, music and craft, especially Pahadi Paintings to attract the guests towards itself. 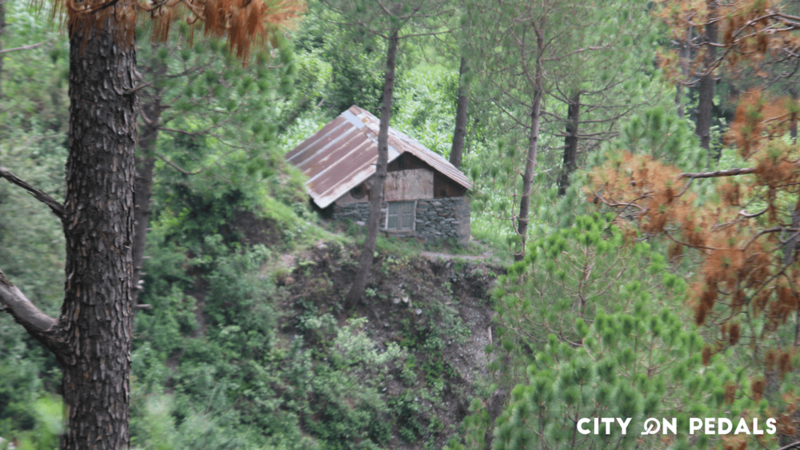 You can choose to stay overnight in Chamba. 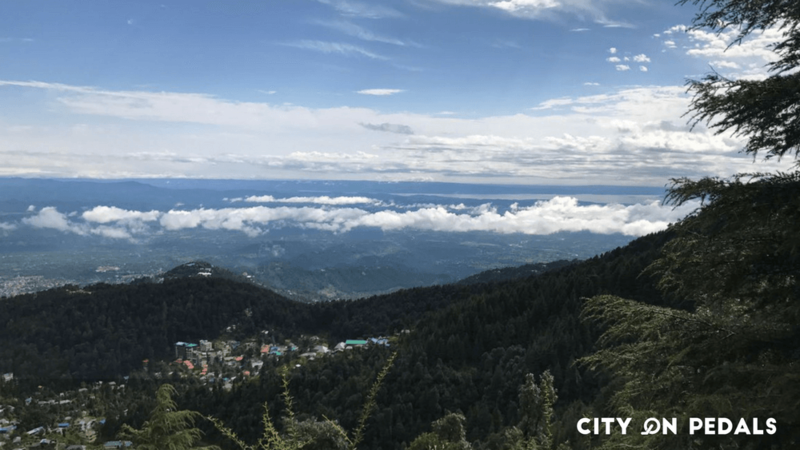 Heading towards the last stop of the journey, travelling through rough curves and turns with steep slopes of Himalayas, you will reach Mcleodganj. Start your first day at a slower pace by visiting the local attractions, which includes the Buddhist monasteries and the Dalai Lama Temple and the local markets. Rest of the day is free for yourself. 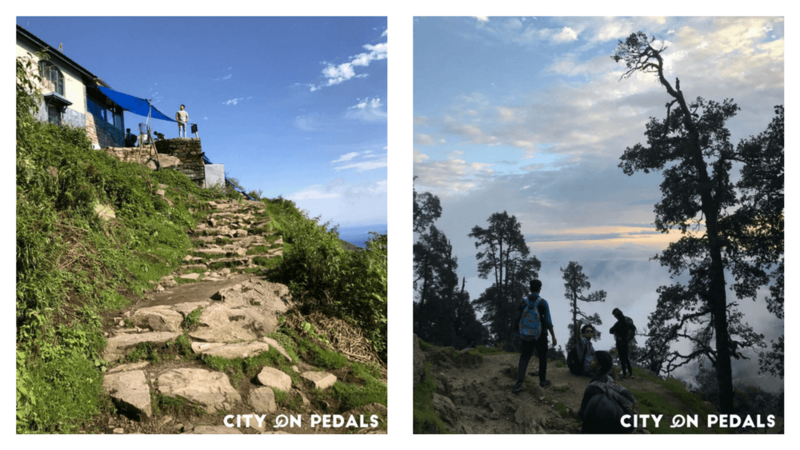 Brace yourself for the trek up to the Triund. Triund is a serene and alluring trekking destination in the lap of Dhauladhar Range, 9 km from Mcleodganj. It offers a jaw-dropping view of mountains and hills on one side and the gorgeous Kangra valley on the other. 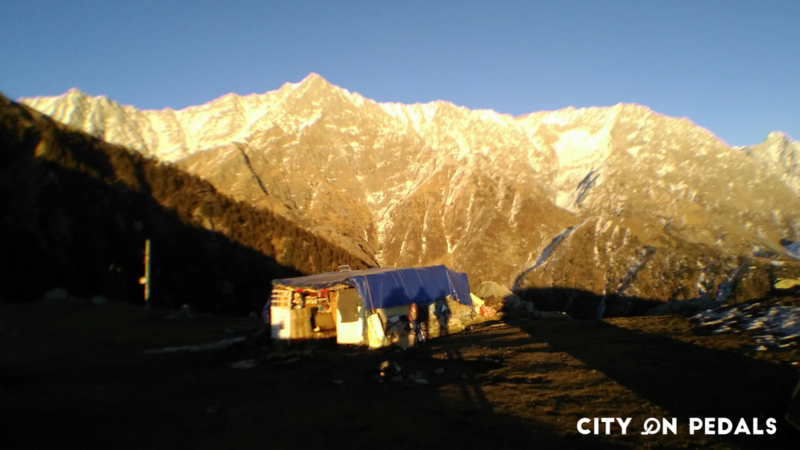 Triund trek is a moderately challenging trek, popular among adventure enthusiasts of all ages and basically trekking paradise for the beginners. 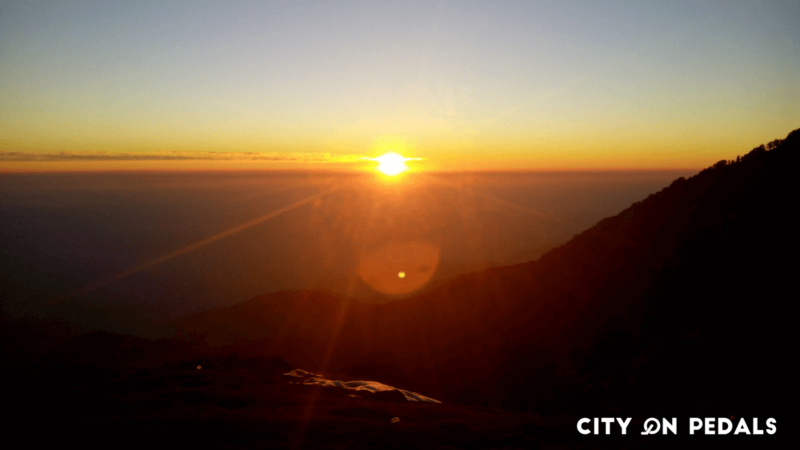 Start trekking around 10 am and reach there in the evening to witness the amazing sunset. You’ll find many canteens in the trek. You can have Maggie and coke to boost yourself for the trek as lunch. After Reaching the top, you’ll realise while it was worth trekking for. Sit down on the grass and watch the sunset by sipping hot Masala Chai. Enjoy the campfire with fellow travelers while singing songs and sharing your travel experiences with each other. Spend your night in the tent under the billions of stars. 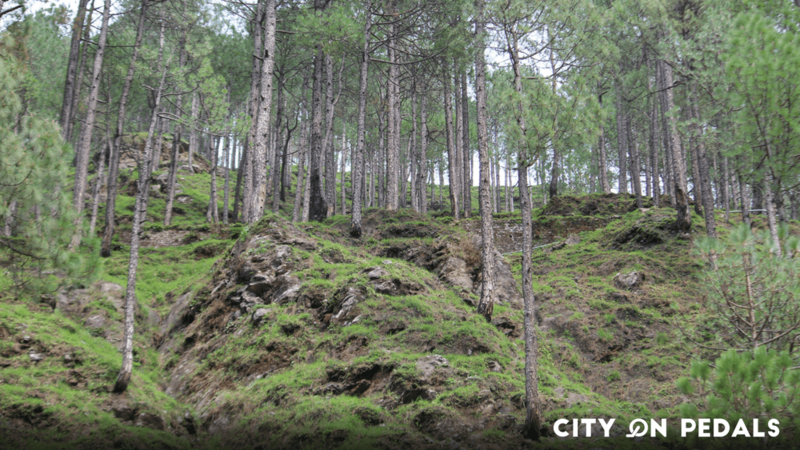 On the way back to Mcleodganj, you can visit Bhagsu waterfalls and the local temples of the place. You can taste famous local Tibetian food at the famous restaurant Tibet kitchen in the town. You can spend rest of your day exploring the town for shopping traditional handicrafts and other items as a souvenir(s). Stay the night over at Mcleodganj. Goodbyes are always hard! This is the end of the trip which offered spiritual as well as adventurous but most of all recreational escape from your daily hectic routine. Gaggal Airport Dharamshala is the nearest airport to board flights to Indira Gandhi International Airport, Delhi so you can book a flight from there. But we suggest you go by road and visit the Kangra Fort as it’ll be another add-on to your trip while going back to home.